Easily connect the NODE 2i to any existing stereo system to unlock and discover a universe of audio streaming. With more than enough connection options to please the most dedicated audiophile, the NODE 2i connects your gear to all the music ever recorded. The POWERNODE 2i is the streaming amplifier that merges several traditional components into one and unlocks a world of high-fidelity streaming. Effortlessly driving your choice of speakers with the same zero-distortion audio signature Bluesound has become known for. The VAULT 2i lets you rip all your CDs rapidly in bit-perfect, high-resolution formats. Hook up the VAULT 2i to your existing gear, pair it with a set of powered speakers or stream your digital music collection in studio-quality to Bluesound players all over the home. The TP-Link HA100 allows you to stream music wirelessly from your smartphone or tablet to any stereo or stand-alone speaker via Bluetooth. Connect with your Bluetooth or NFC enabled device, using the HA100 or NFC tag. 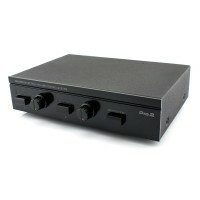 Connects to any stereo via 3.5mm or RCA. Simply pair your Bluetooth enabled device such and connect the BMR3X to your AV receiver, multimedia speakers and more. The BMR3X allows you to enjoy high quality wireless Bluetooth audio, indistinguishable from wired with an impressive dynamic range. This Sherwood RX-5502 4 channel multi-zone stereo receiver includes 100W per channel high power output, an AM/FM stereo tuner and phono input (for turntables). This high quality unit offers exceptional performance at an entry level price point. This high performance unit offers a supreme amplification solution that is ideal for stereo applications or for multi-zone audio distribution. With a range of control options, the McLelland POWERPRO300 will integrate seamlessly with any audio system. The PULSE FLEX 2i is a versatile, full-range speaker that delivers true wireless portability and the best in audio performance. Place a speaker in any room, pair them together for stereo sound, or even take one to the park. Enjoy great-sounding music in any area of your home. The PULSE MINI 2i takes decades of high-fidelity audio legacy and squeezes it into a tiny box. Delivering rich and detailed sound, the PULSE MINI 2i can easily fit into small living spaces, all the while providing an outstanding music experience. Premium wireless multi-room music streaming speaker. The most complete high-fidelity streaming speaker available, the PULSE 2i fills large spaces with rich, clear audio. When it comes to your music, don’t settle for anything less than high-fidelity. Designed to fit perfectly under your TV, the PULSE SOUNDBAR 2i is the world’s first multi-room, high-res, wireless home theatre soundbar to feature crystal clear, 24-bit resolution sound and audiophile-grade bass response, without a subwoofer. This is the soundbar your TV deserves. 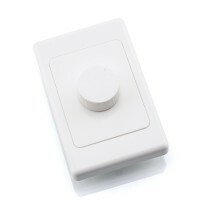 This 2 Way Speaker Switch will allow you to connect a single stereo output to 2 pairs of speakers for distribution throughout your home or work place. 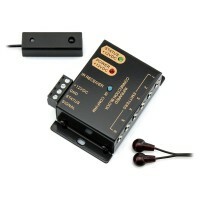 Simply connect a stereo source to the input and then a set of speakers to each of the 2 outputs for instant control. This 4 Way Speaker Switch provides an economical solution to distribute audio from an amplifier to four different locations in your home. Accepts 1 pair of speakers as the input and will output to 4 pairs of speakers. This switch is great for multi zone entertainment. This 2 Way Speaker Switch features an integrated volume dial for each zone to allow complete control over your listening environment. This extremely solid and sturdy unit provides a reliable solution to distribute audio throughout two zones. This high performance system will distribute audio from two sources to four zones in any combination, along with independent volume control for each output. Designed to the highest quality standard, this premium 4 Way Speaker Switch will deliver pristine audio. This high performance system will distribute audio from two sources to six zones in any combination, along with independent volume control for each output. Designed to the highest quality standard, this premium 6 Way Speaker Switch will deliver pristine audio. This Speaker Selector Wall Plate allows you to conveniently control which speakers you would like active from a central location. Ideal for a second zone. The sleek and elegant form factor provides a minimalist design that will ensure a stunning finish. This In Wall Stereo Speaker Volume Control Wall Plate provides the perfect solution to control a set of stereo speakers. Ideal for multi-zone entertainment or an alfresco area. 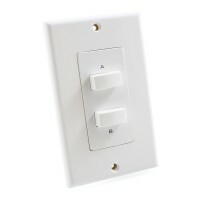 This high quality wall plate features 60 watts of power handling. This Stereo Speaker Volume Control Wall Plate is the perfect in wall solution to facilitate wall volume control from a central location. Perfect for a range of domestic or commercial audio applications. Features 300 watts of peak power handling (100 watts RMS). 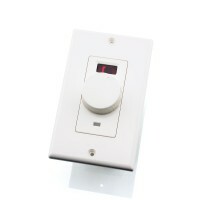 This Stereo Speaker Volume Control Wall Plate features an integreated IR Receiver which allows connection to an IR Repeater kit for seamless control of devices located in another area. Features 300 watts of peak power handling (100 watts RMS). This IR Repeater Kit will extend an IR signal (Foxtel compatible). This allows convenient control of multiple source devices located inside a cabinet or from a remote location. Includes Connection Block, 1 x IR Receiver, 1 x Dual IR Emitter and Power Supply.